Bridge loans are a unique short-term funding solution that allows businesses to act when execution is critical and time is of the essence. This loan program tends to “bridge the gap” when permanent financing is needed to purchase commercial real estate which is not yet available. It could be that you want to purchase an auctioned property with a limited timeframe. The commercial bridge loan from Capital Fund I serves as an alternative to taking out a regular mortgage and is a fast and reliable source of funding. Besides securing the purchase, you may need to improve the commercial property, and our bridge loan can also help you with that as you seek to establish a solid operating history. As a result, you may be able to improve your standing for more conventional long-term financing. When you need to purchase an empty, rehabilitation property, refinance due to maturity, or take advantage of repositioning to stabilization opportunities, Capital Fund I delivers the financing you need to achieve your goals, close quickly, and maximize on your return-on-investment. Seeking a bridge loan from a traditional lender such as SBA and bank will only subject you to a lengthy application and approval process, and this can mean lost opportunity. So, when you need immediate financial support to keep your business operating smoothly, what do you do? Turn to Capital Fund I, protect your cash flow, and avoid the financial strain incurred from the delays. As a direct business lender, we can expedite the bridge loan approval process and close in as little as three to five business days. This allows you to move on time and keep your projects progressing. 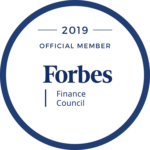 We apply our expertise and knowledge in designing solutions that prioritize long-term goals while ensuring that current investment needs are met. You’ll get a one-on-one personalized service from a dedicated Loan Specialist with expertise in your industry. You may find it complex to navigate the commercial bridge loan terms and rates, but do not worry; our specialists will handle it expertly for you. One of our objectives is to ensure that our clients are able to access a seamless loan process and a low cost of financing. We operate in the Phoenix area, including Chandler, Glendale, Mesa, Peoria, and Scottsdale as well as Tucson and Northern Arizona. 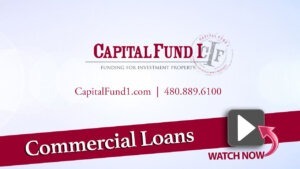 If you are interested in receiving more information in regards to our commercial bridge loan program please fill out the information on the right or call 480-889-6100 today.